Mali Mish – Day 8: Out of Flagstaff and into Prescott and Jerome. We drove through some of the heaviest rain we have ever encountered on any of our trips yesterday from Gallup to Flagstaff. It was comparable to last year when we were in Memphis driving from Graceland to Beale Street. Except we were pulling the Airstream on that drive. 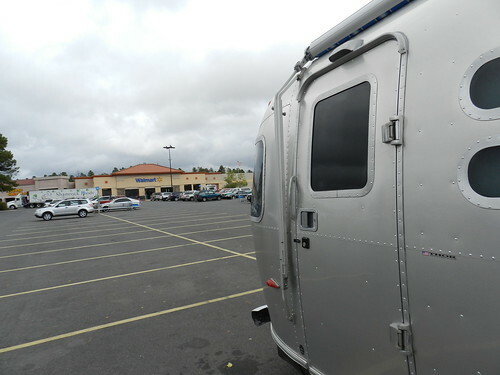 We parked almost in the exact spot as we did 5 days ago when we came across here on the way to Albuquerque. The storm has subsided for now but the temperature has really plummeted in the last 24 hours. We needed to make some decisions about whether or not we want to stick to the plan of staying a few days in Flagstaff or take off for warmer temperatures and lower elevations. 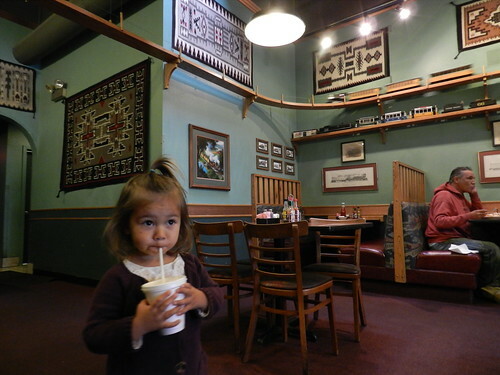 But first, we need to go back to Crown Railroad Cafe for some of ‘those potatoes’. One of the best things about traveling is eating at local favorites like this one. It takes a little courage to not go the safe route of a national chain but more often than not, it seems to pay off. After breakfast, we decided that it would probably be best if we didn’t stick around Flagstaff. The rain was suppose to come back, and at this elevation, there is a good chance for snow. One thing we don’t do when we are traveling with the Airstream is snow. Silver Bullet + Slippery Roads = Trouble. We had originally planned to leave Flagstaff after 3 days and head over to Las Vegas for the last part of our trip. We had reservations made at a Clark County Campground so we need to decide what we want to do for the next three days. 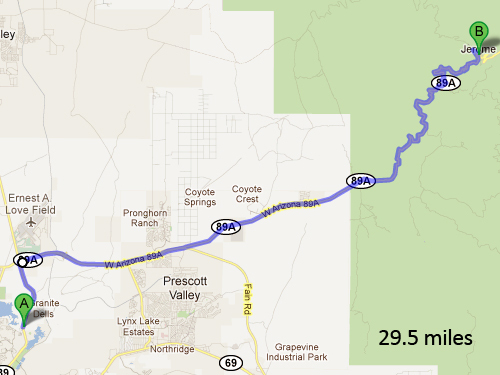 As we headed west on I-40 past Ash Fork, AZ, I noticed that we could head south to Prescott. I’ve always wanted to see Prescott but have never had a chance (the same for Flagstaff, actually) so we made a last minute decision to head there for the next three days. A detour like this requires us to get into research mode. We now need to find a place to dock our ship. And not just any place would do. We still had more work that we didn’t finish from yesterday’s brief stop in Gallup and some fast and reliable WiFi would really come in handy. For almost this entire last week, we have been dry camping. 3 nights in Walmart and 3 nights in a dirt field of the Balloon Fiesta in Albuquerque. So we could really use some hook ups to. We ended up at a place called Points of Rock RV Campground. It is a very scenic place that resembles more like a State Park Campground than a privately owned RV Park. 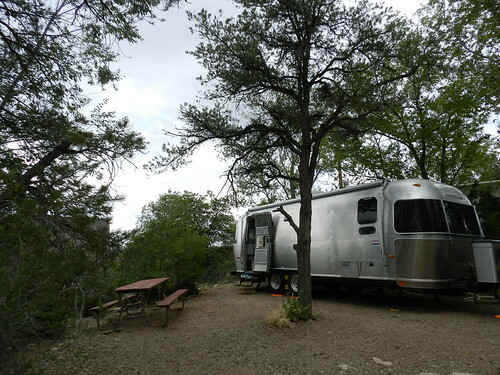 They offered us a full hook up spot right behind the front office so we could have access to their high-speed Internet connection inside our Airstream. Sold! We will take it. Once we got settled in a bit, we decided to do some sightseeing. Our original plan in Flagstaff was to take a day trip to Sedona or Jerome. Both really great little towns that we have heard a lot about. 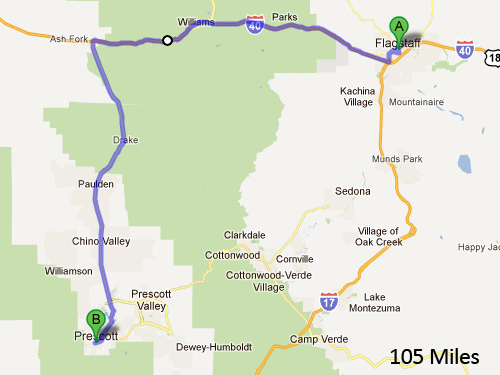 Jerome is actually much closer to Prescott than Flagstaff would have been. With possible rain in tomorrow’s forecast, we decided to take our opportunity this afternoon for a little trip to the coolest little cooper mining town in the hills. The 30 miles from Prescott to Jerome is not an easy drive. The first 18-20 miles is actually a breeze. But once you start heading into the National Forest, the roads got pretty hairy. Kinda reminded me of the road we took to Julian, CA at the beginning of this year. But worse. 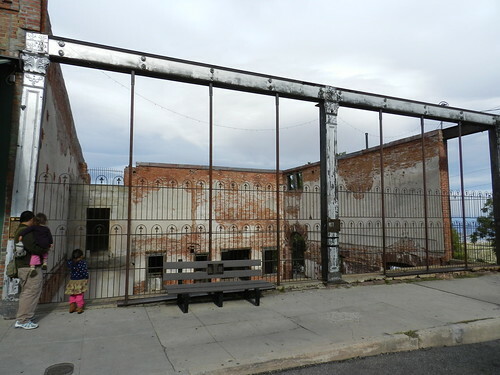 When you finally get into Jerome, first thing you realize that this is unlike any town you have ever been to. It is noted as the most vertical city in the country and it shows. Don’t even think about bringing your RV here. Not that it is impossible to drive through the town but you will have a very hard time finding a place to park it. 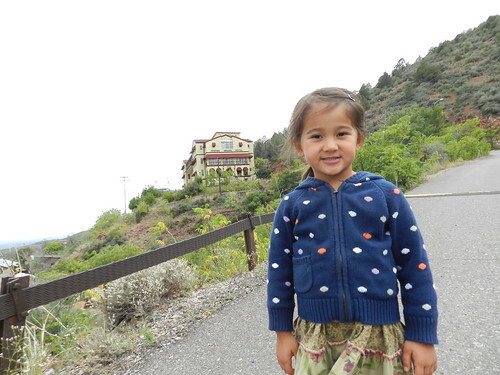 It appears that the entire town is built on a steep hillside and if you are not in good climbing shape, taking a stroll around town might give you a coronary. 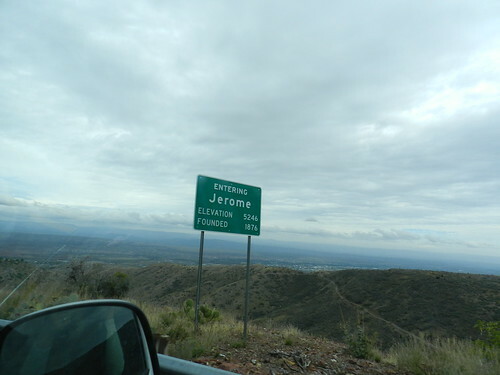 Jerome is also known for having a history of ghost hauntings being that it was once a copper mine in the 19th century. 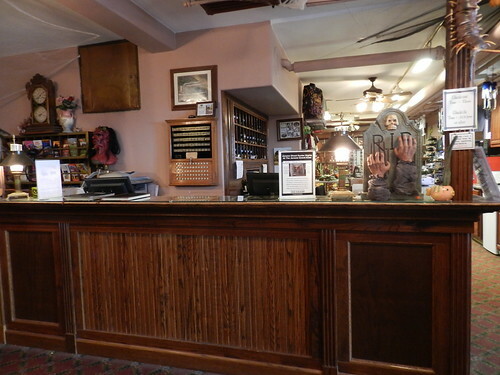 One place that came highly recommended both for its food as well as its other worldly patrons is The Hanted Hamburger. Speaking of coronaries, it is making me hungry for some meat and potatoes. The food there is pretty impressive. 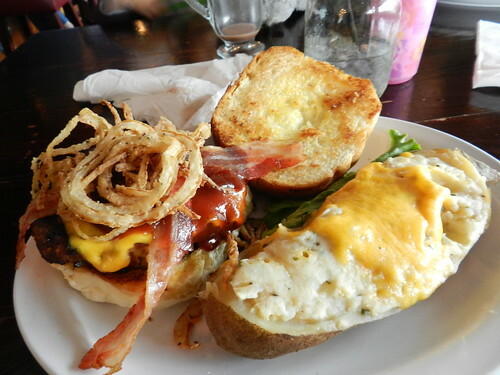 Huge portions and well presented with big thick patties and twice-baked potatoes as another options instead of fries. Another unique thing they do here is instead of giving you tomatoes, lettuces and pickles, you can help yourself to a toppings bar. 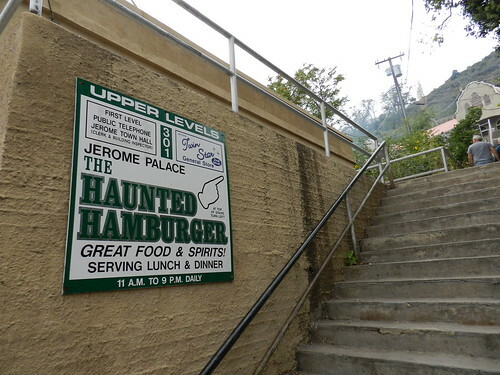 Here is Marlene taking pictures of the girls on the stairs going up at the Haunted Burger hoping to catch a glimpse of some orbs. No dice. 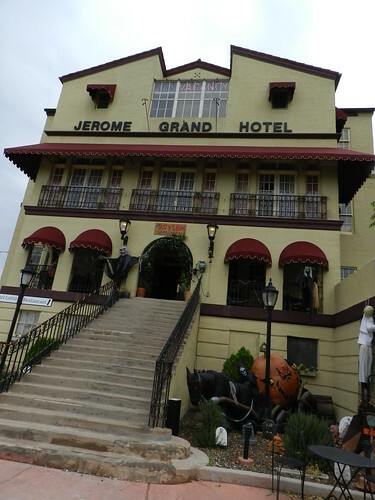 Another sight that came highly recommended for us to check out is the Jerome Grand Hotel at the top of the hill. From a far, it looks completely harmless and innocent. But once we got up close, Ava did not like what she saw. 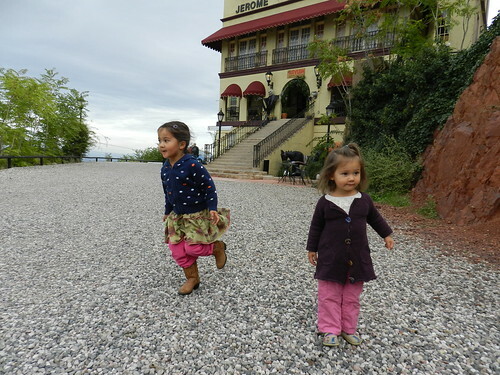 The Jerome Grand Hotel really got into the Halloween spirit. The entire hotel was decorated for the holiday. And not just a little bit. This is all through the hotel. The girls did not like being in there. 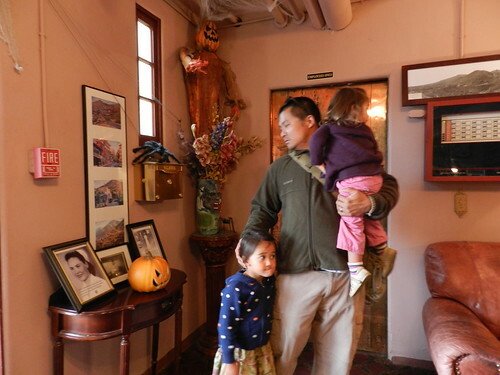 Not because there are real ghosts, because I know they are also there, but because of the Halloween decoration. Getting down to the bottom of the hill was much easier than the climb to check out the hotel. 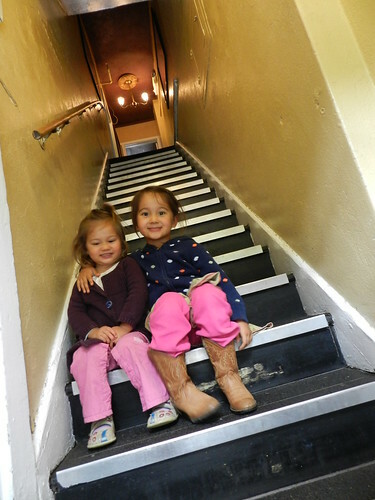 At the bottom of the hill next to Main St, the girls found a little playground and somehow mustered up more energy after that mile-high workout. 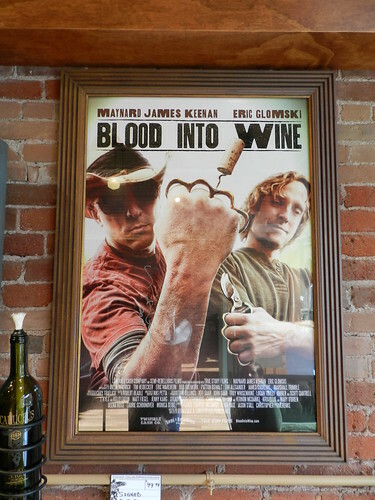 One of the unexpected things that Jerome is known for is actually its wine making. When you talk about Arizona, people think about the hot desert and its harsh and unforgiving climate in the summer months. Surprisingly, up here in the higher altitudes, the climate is actually conducive to growing wine grapes. A few months ago, while browsing my Netflix instant streaming queue, I came a cross a unassuming documentary featuring Maynard James Keenan, the frontman of the rock band Tool. 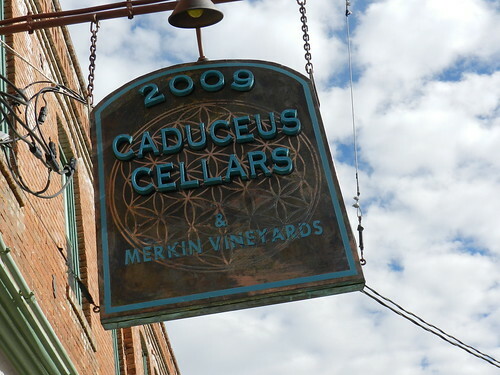 The documentary features his high desert winery right here in the Jerome area called Merkin Vineyards and Caduceus Cellars located right on Jerome’s Main street. If you have not seen the documentary, I recommend that you take a look. It is an interesting story about how an unlikely winemaker started to make wine in an even more unlikely location. Jerome’s downtown is more or less just a couple blocks of old buildings along its Main street. Some are still standing but many have been burned to the ground. This particular place was so unlucky that it was burned down twice in the same year. The owner had enough and just decided to leave it as is in the empty shell of a structure that it appears today. 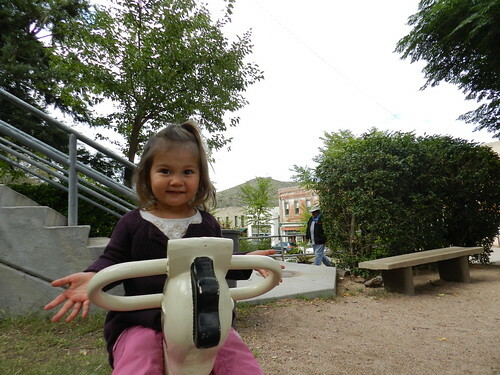 Just like Bisbee, AZ, this little town came about with the promise of precious metals in the dirt. 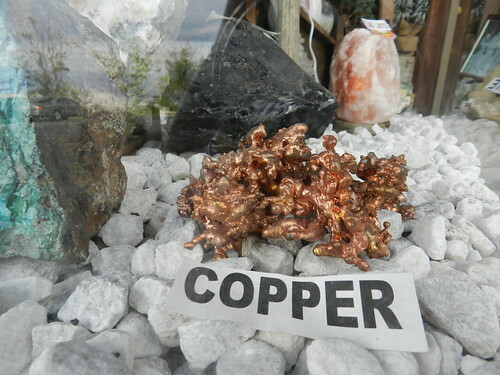 A former copper mine, much of its former glory now only exists in the history books and the gift shops. 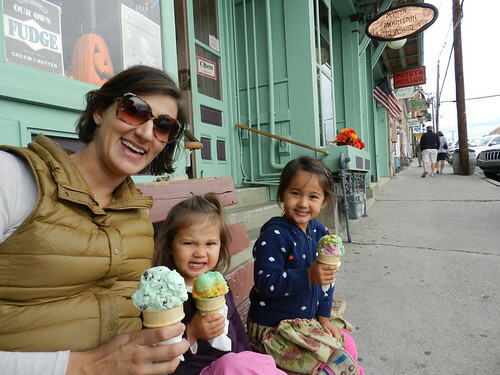 Although it will keep us coming back as long as their are haunted houses and of course, ice cream. 3 Responses to Day 8: Out of Flagstaff and into Prescott and Jerome. I so enjoyed ( reading & seeing) your journey. Thanks for sharing. You are a beautiful family. We just traveled the route from Sedona, through Jerome and on to Joshua Tree Park. I thought the road in to Sedona from GCNP was beautiful, but I wasn’t driving. 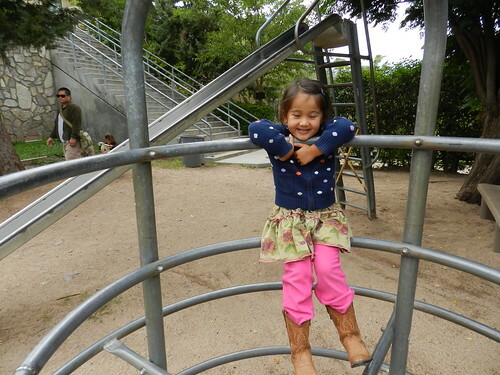 FYI: The Rancho Sedona RV park was wonderful. Great laundry with a clothes line! We had a little grass YARD for our dogs to enjoy. Quiet, nice place located in town. 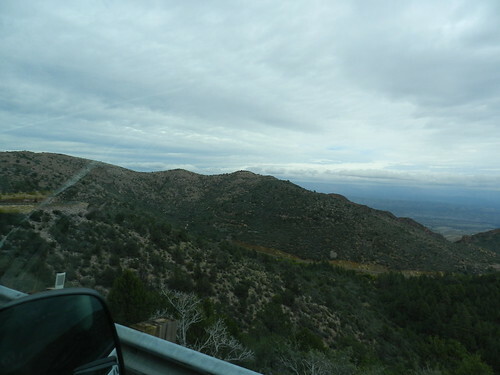 On to the travels….Leaving Sedona and driving through Jerome was a white knuckle ride. We are pulling a 22′ Safari with a large truck. The road was beautiful, but again, I was NOT driving thank goodness. Also Joshua Tree entrance was closed for repair. We ended up camping in the parking area just at the entrance. Thanks for your blog. Next year we may try the balloon festival.